Conversations: Kimberlee Wilde from Designer Surgeries on rebranding - Holy Cow! This week we sat down with Kimberlee Wilde, Interior Designer and owner of commercial fit-out company Designer Surgeries to share her recent experience working with Holy Cow! Creative. 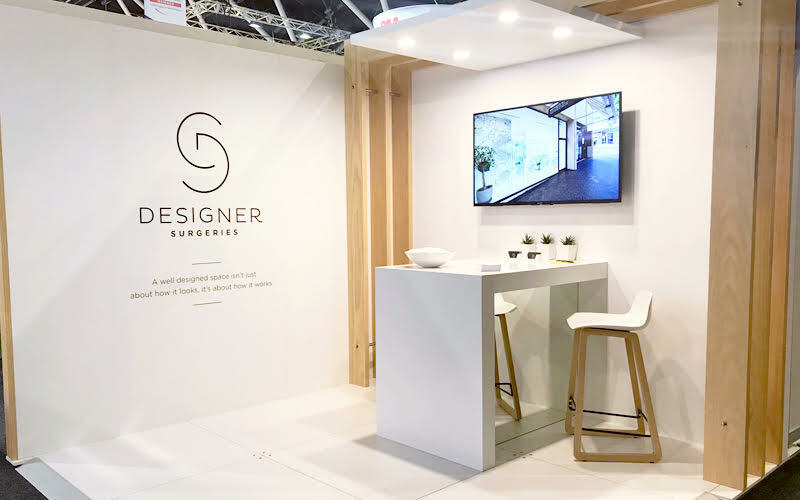 Designer Surgeries is a design and construction company that specialises in the fit-out of Dental and Medical practices Australia-wide. I established Designer Surgeries in 2006, as I was working in the family business and saw a growing need for the niche market that is Medical and Dental. Working in the Dental industry providing design services since 1993 allowed me to gain extensive knowledge of the requirements and ergonomics of dental surgeries. After my parents sold their business, I decided to branch out on my own and add construction to my services to meet this need and that’s how Designer Surgeries was born! Essentially, I contacted the Holy Cow! team as the 2018 Australian Dental Industry Association (ADIA) Exhibition was fast approaching and I recognised that our current brand was outdated. We required a new logo, website and collateral as well as a design for our exhibition stand. I felt that this event was the perfect opportunity to launch a newly rebranded Designer Surgeries as it would potentially attract a number of new clients. How did you find out about us? Why did you choose Holy Cow! over another agency? I had the opportunity of working with Moo and Emma on The Dental Spa, Bondi project. I was highly impressed with the work that they produced for The Dental Spa and so when it was time for me to re-brand, I decided to contact Holy Cow! I also loved what I saw when I visited their website. Were you at all hesitant to employ the services of a company like Holy Cow? Not at all. I realised early on that I required specialist assistance as I am time-poor and re-branding Designer Surgeries was long overdue. What was your vision for Designer Surgeries? Whilst I did have a clear vision for Designer Surgeries, Holy Cow! offered much-needed guidance that allowed my vision to be brought to life. 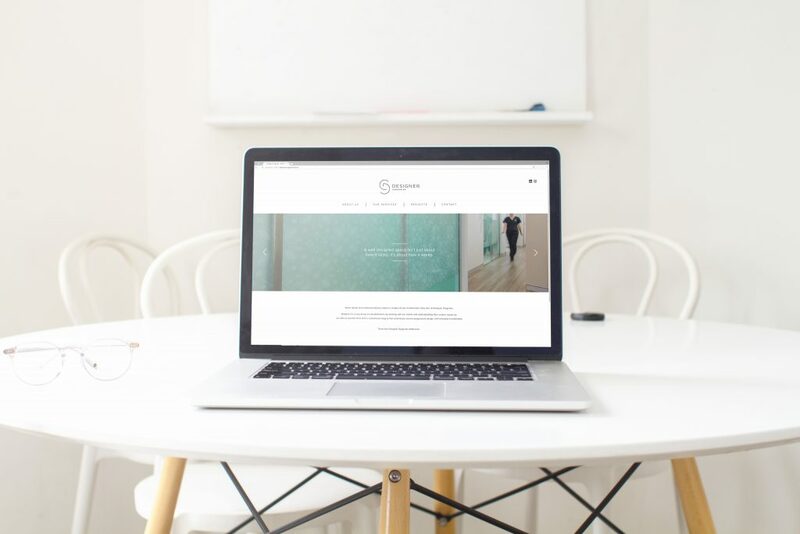 I wanted to convey in a simplistic yet stylish manner that we are an established, experienced, boutique design company that specialises in commercial, medical and dental fitouts. I also wanted to incorporate a Scandinavian minimalist look which reflects my personal style. What was the main area that you needed guidance with? I needed help envisioning a website that was practical, functional and didn’t compromise on style as we are a design company! The main challenge with this was structuring the website in a manner that I found best showcased the services that Designer Surgeries has to offer. Prior to working with Holy Cow!, did you have a vision for the Designer Surgeries brand, website and ADX18 stand? If so, did Holy Cow! Execute this vision? Yes, for the ADX18 stand I wanted to showcase a Scandinavian inspired space that was stylish, professional and yet didn’t compromise on functionality. I also wanted the logo and website to reflect the same stylishly minimalistic ‘feel’. Holy Cow! went above and beyond to execute my vision. They curated a moodboard that provided me with visual inspiration that allowed me to build upon my existing vision. They also made sure that they had a thorough understanding of Designer Surgeries as a brand itself before putting forward any design concepts. 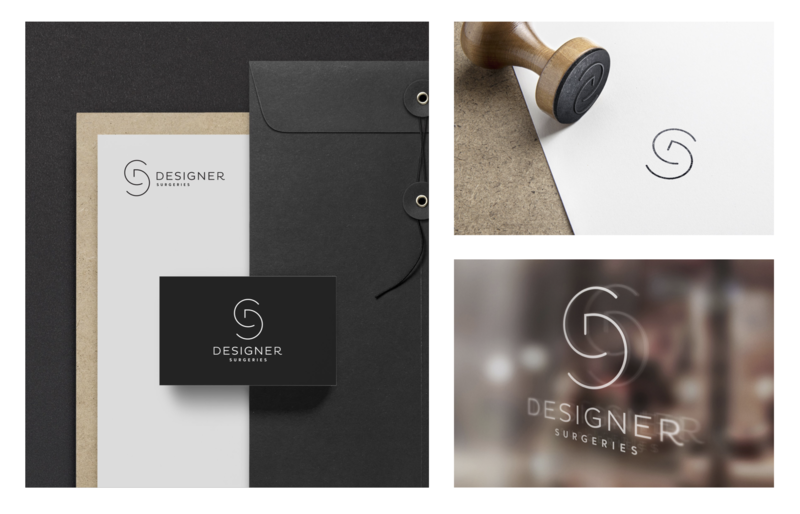 They truly encapsulated the essence of Designer Surgeries as a brand and designed a unique logo that showcased this – I loved every potential logo option which made it difficult to choose just one! They ensured that the project was delivered in time for the ADX18 exhibition and executed all aspects in the utmost professional manner from commencement to completion. Holy Cow! curated a moodboard that provided me with visual inspiration that allowed me to build upon my existing vision. They made sure that they had a thorough understanding of Designer Surgeries as a brand itself before putting forward any design concepts. This meant that I loved every potential logo option, which made it difficult to choose just one! How did Holy Cow! execute this vision? Describe the experience that you had working with Holy Cow! Holy Cow! made the whole process easier than I had expected. They simplified aspects of the project that I thought were going to be overwhelming for someone like myself who had no prior experience working with a creative agency. They talked me through the process and what to expect before we started which meant that I was well informed. The Holy Cow! team made me feel so welcome and comfortable – it really was a joy to attend meetings when every team member was so friendly. I couldn’t have asked for a smoother, more stress-free process. How did Holy Cow! Involve you as the client in the process of rebranding Designer Surgeries? They ensured that I was involved in all aspects of the rebranding process from selecting logo options that I felt were most suitable to providing stationery and promotional material for the ADX18 exhibition stand. Throughout the process, they listened, continued to offer ideas and provide feedback which meant that I was informed across all aspects of the branding, website design and exhibition stand. I learnt a lot! How pleased were you with the end result once the project was completed? I couldn’t be more pleased! I absolutely love the new logo and website – some of the Holy Cow! team even visited us at the ADX18 exhibition stand to check out the finished product and show their ongoing support for Designer Surgeries which was so lovely! Did you receive any new clients as a result of the expo? Yes, we have! We have also had great feedback on our website! How have your clients responded to your branding, website and any other collateral produced? Since rebranding with Holy Cow! we have received extremely positive feedback. The ADX18 exhibition was a great opportunity for us to showcase our new ‘look’ and for existing and potential clients to recognise the new and improved Designer Surgeries brand. What are the advantages of using a creative agency like Holy Cow! For designing a brand and visual identity and a custom website? 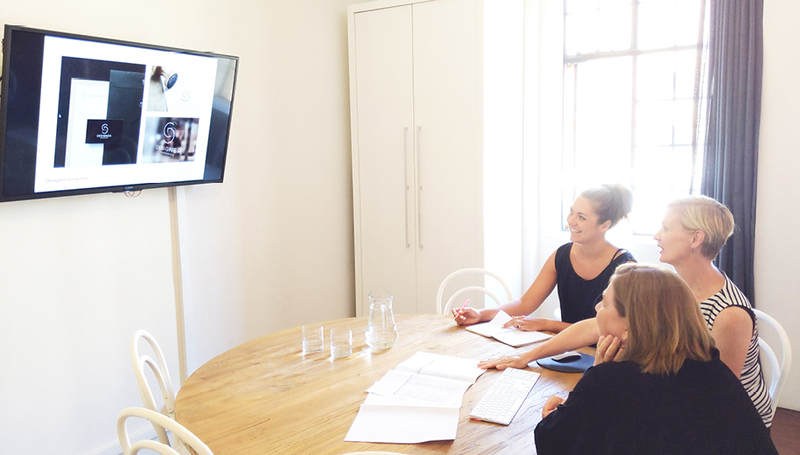 Engaging the services of a creative agency like Holy Cow! Provided me with peace of mind, knowing that I was working with people that are across all aspects of branding/graphic design/website construction etc. It’s not until you go through the process that you realise how much is involved. I am a firm believer that you need to work with people who are experts in their field. Please let us know if you are interested in being featured in one of our upcoming Conversations!